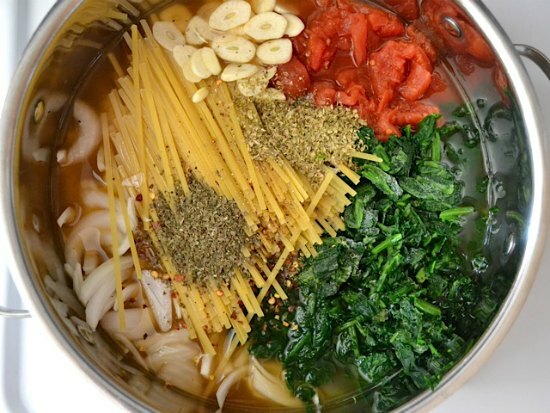 Are you interested in making a one pot pasta dish that will be super easy to do? Instead water to cook a pot of pasta, other liquids like both will be used. The result is a dish called an Italian wonderpot that you can easily make at home. The key to making an Italian wonderpot is using a variety of herbs with a few aromatics. This will include some garlic and onion. A thick sauce will be created from the starch of the pasta as the dish cooks. You can even mix and match some of the ingredients to create a customized dish. No water is used to make an Italian wonderpot meal. The liquid comes from vegetable broth and some olive oil. Once you add all the ingredients to your pot, just let it boil for at least ten minutes. This is an inexpensive dish to make when you need something quick and tasty.